Lifetime is no stranger to biopics of famous people, but usually the subject of their TV movies are no longer with us. 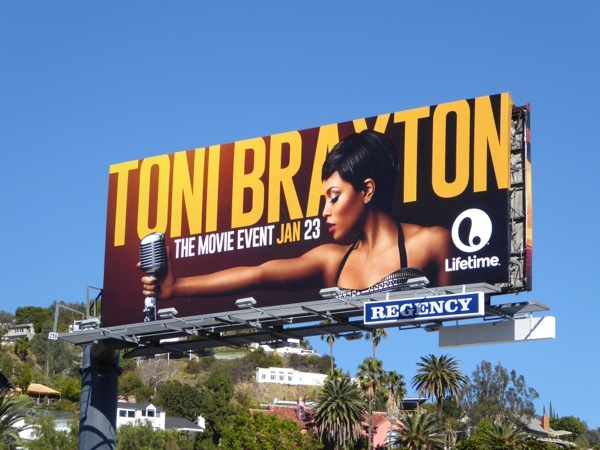 This time however, Toni Braxton (still very much among the living), gets the Lifetime movie treatment. Newcomer Lex Scott Davis stars as the seven-time Grammy Award-winning R&B singer, based on the artist's own memoir, Unbreak My Heart. Follow the star's rise to fame, plus all the debt, deception and infidelity that have plagued her life. 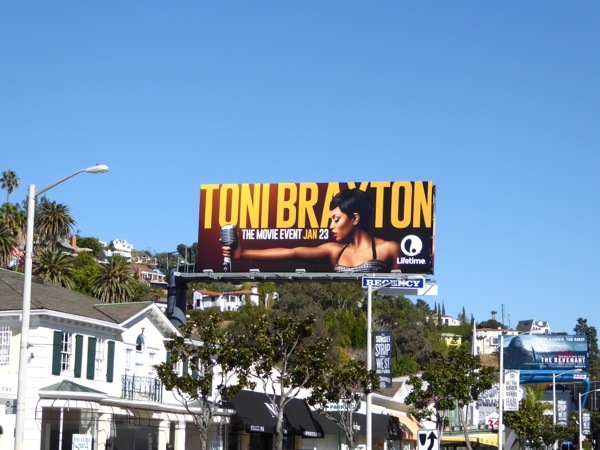 This striking Toni Braxton movie billboard was snapped along L.A.'s Sunset Strip on January 12, 2016. 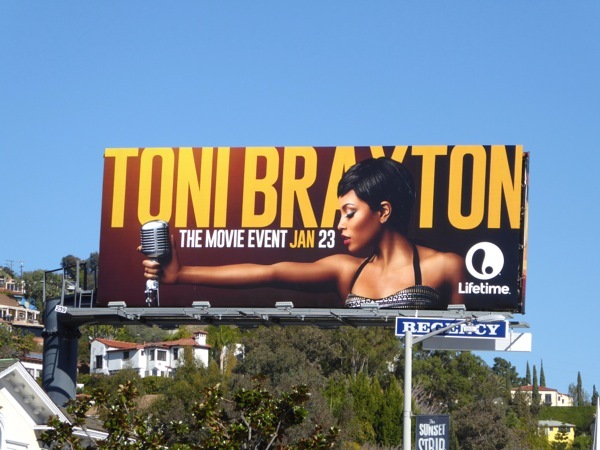 If you're a fan of the iconic singer, be sure to also check out those Braxton Family Values TV series billboards. 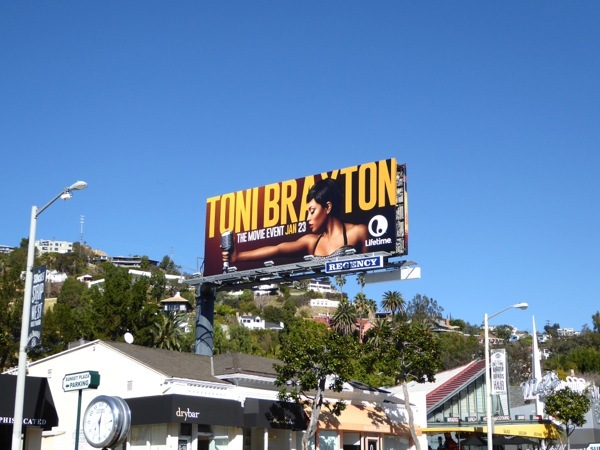 Plus for more Lifetime movies, you should also take a look at this Whitney Houston biopic billboard and these Aaliyah: The Princess of R&B billboards. Even though she's now received her own Lifetime movie, Daily Billboard feels this is one singer whose story is far from over.